You are here: LitRPG Level One / Blog / Jumanji Welcome to the Jungle: LitRPG? 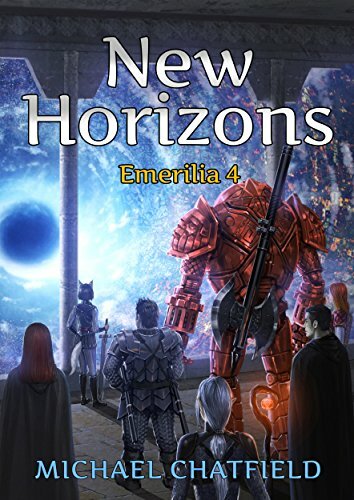 One of the fun things about LitRPG is that it’s a fairly wide-reaching genre. While there are still relatively few books published under the banner, it’s not hard to go back and find classic works that could fit in today’s genre. Of course, you don’t have to limit yourself to books to do this. You can just as easily look at movies and figure out how well they fit into LitRPG genre. Some movies are obvious choices, but others might require stretching the definition a bit to make them fit. As the world prepares for a new Jumanji film, it might be time to figure out if those movies belong in the LitRPG genre. While the second movie definitely looks like it could fit easily, there’s also a case to be made for the first. If we’re going to make an argument for Jumanji as LitRPG, it’s probably a good idea to start with acknowledging the roadblocks in the way of acceptance. 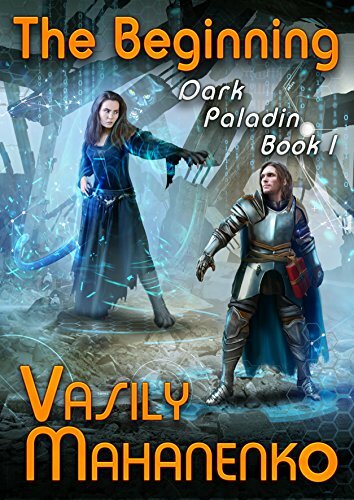 LitRPG is such a niche genre that it’s hard to look at claims of established media fitting into its framework without immediately looking to poke holes in the whole thing. If Jumanji’s going to be considered LitRPG, it’s going to need to do so on its own terms. First and foremost, we’re going to have to stipulate that a work can be in the LitRPG field without intent or even acknowledgment. There are tons of works that could theoretically be thrown into the LitRPG space that existed long before the genre had a name. Jumanji can’t be excluded just because of its advertising or how it might choose to label itself. If it conforms to the basic definitions that the community has set up, it’s a part of the genre. It should also probably be stipulated that the community’s definitions are necessarily vague. While it’s nice to be precise, the truth is that most genres of writing have very vague definitions on purpose. The goal should be to show what the genre can do, not constrain it unnecessarily. It’s arguably a good idea to try to make sure that the genre’s name doesn’t lose all meaning, but definitely not to a degree that you start excluding works just for not checking off all the boxes. Finally, any argument about whether Jumanji is a LitRPG movie really needs to take a look at the spirit of LitRPG beyond anything else. While there are probably criteria that it doesn’t quite meet – and even that’s arguable – the truth is that Jumanji very much fits that tone and spirit of the genre. If you can work from there, it’s much easier to have a discussion about the movie. Stipulations aside, we next need to look at the framework for determining what elements are necessary for a movie to fall into the LitRPG category. The biggest problem with this is that there really aren’t any books that openly market themselves as part of the genre. There are definite movies that fit the criteria set up for books, but even then one should probably give some leeway for the difference in medium. Rather than discussing the ‘rules’ of what can be LitRPG or what can’t, it might be a good idea to look at some basic ideas from published works to help us figure out on what criteria we will judge Jumanji. First and foremost, we’re going to need a game. That much is fairly obvious, if only because of the name of the genre. Without a game, a LitRPG story just becomes another transportation fantasy. If you don’t have a game involved, virtually anything with an alien world can be LitRPG. So, we know that we definitely need a game for this to work out. It’s also fair to say that we probably need an adventure. There’s probably a fantastic book out there which is nothing more than a quiet reflection on what it means for a game world to exit, but that book probably won’t fall under the auspices of LitRPG. There’s got to be something happening – something that drives a protagonist of some sort forward. If there’s no adventure, it really doesn’t seem like a work can fit in with this genre. Finally, there’s got to be an acknowledgement that the world is a game. This is probably the only hard and fast rule that we need to look at, but it’s really the thing that sets LitRPG apart. There are hundreds of novels that take place in a game world, but if you don’t have the acknowledge of the location than it’s just a book or movie set in another world. While the second movie looks like it’s going to be easier to judge, it’s a little more fun to start with the first movie. After all, it’s a classic – and it’s got a lot more wiggle room. 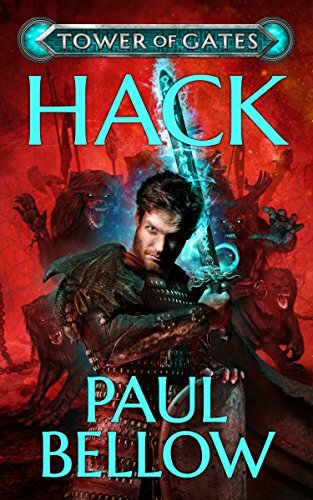 If we can make the case that Jumanji is LitRPG, we can probably open the doors for many other works. If you’ve never watched the original Jumanji, the plot is very simple. Once upon a time, a boy discovered a mysterious game – one that ended up transporting him inside the game world. Decades later, two children found the same game, releasing the (now adult) boy and forcing them all to complete the game so that the game world did not completely overrun the real world. From the outset, there’s a lot here that feels like it’s LitRPG. The overriding plot of the movie definitely hinges upon a game – that’s something that is key to most LitRPG novels. There’s a protagonist, an adventure – there’s even a sense of very literal progression through the game as the pieces as moved forward via dice roll. 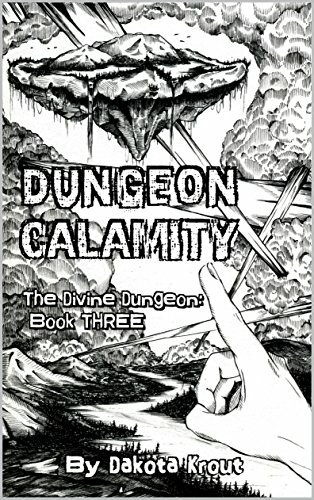 Spiritually, at least, this feels like LitRPG so far. The big issue might be that the bulk of the story doesn’t actually take place within a game. Instead, it takes place in the real world with elements of the game leaking in as turns are taken. We’re not looking at a game setting in the traditional manner, simply because we’re not looking at the same kind of immersive environment. Arguably, though, we are looking at something that’s very much a game environment. If we’re not limiting LitRPG to video games, Jumanji absolutely takes place in a game environment. The real world is becoming more like the game world because that is the nature of the game. It’s not virtual reality or a character being sucked into a video game, but it’s the world of a game nonetheless. 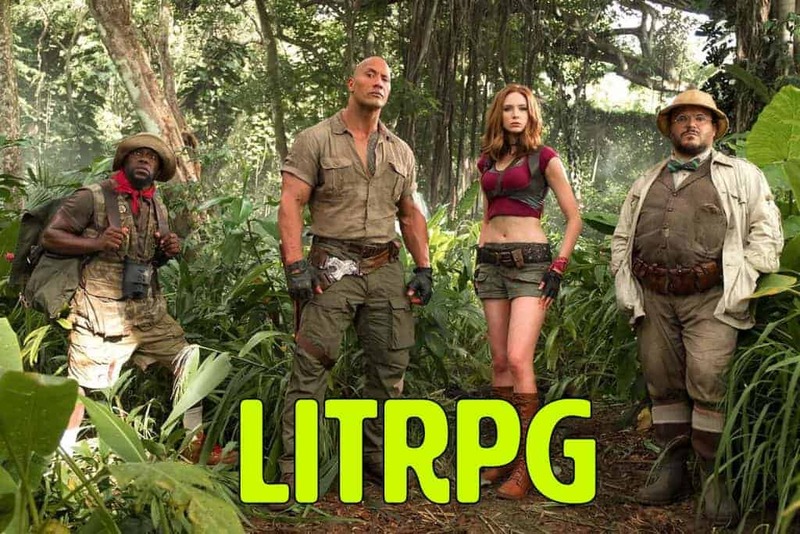 If we can accept that the changes made by the board game constitute placing the movie within the world of the game, then we have to admit that Jumanji really checks all the boxes for being LitRPG. The upcoming Jumanji: Welcome to the Jungle is even more of a LitRPG movie than its predecessors. While we might have to stretch the definitions a bit to get the first movie into the LitRPG genre, we don’t have to do quite that much work on the second. In many ways, Jumanji: Welcome to the Jungle looks like the definition of a LitRPG on all fronts. It definitely takes place in a game – you can even watch the main characters get sucked into the game in the trailer. It certainly involves an adventure. It even goes so far as to have the characters directly state their awareness of being in the game. This isn’t just a LitRPG movie – it almost feels like a movie that was made to fit into the genre. While it’s a comedy, it almost goes too far just to make sure that everything fits into the right places. It’s almost like someone decided that there needed to be a multi-million dollar explanation of what LitRPG was always meant to be! Will the movie feel like a perfect LitRPG work? Probably not. We don’t know everything about the movie yet, and there will likely be some holes. For now, though, it’s easier to say that it looks like it will fit than it won’t. It may not be the most sophisticated-looking movie out there, but it does look like it could have been adapted from a LitRPG novel. Jumanji helps to prove that LitRPG doesn’t just have to be confined to novels. It also goes to show that the definitions of the genre might not be as important as the spirit of the genre itself. While the new movie certainly looks a lot closer to what purists might call LitRPG, the original film really does feel like it’s a work that could have come right out of the forums. What do you think about the case for Jumanji being a LitRPG work? Do you think that there are other movies that might fit a little better? What would go in your canon of LitRPG films? If you want to talk about LitRPG and movies, make sure to come visit the LitRPG forums.